When you schedule the right people to work at the right times, the day moves smoothly and customers are taken care of. Our smart scheduling tools help you manage your labor costs, improve communication, and save time. Schedule-building is complicated. You think you’ve considered all the factors, but when you publish the schedule, multiple people ask to trade shifts. Or someone reminds you that you approved time off for them that week. 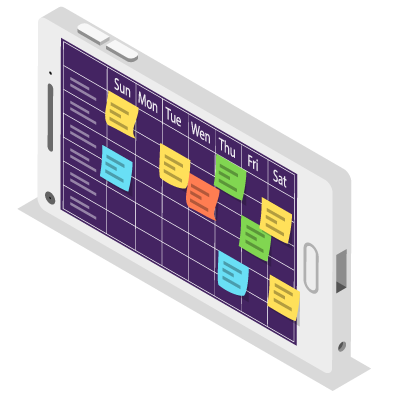 Our scheduling solutions take the pain out of building schedules and gives staff more control over their availability. Self-serve tools allow staff to request time off, schedule swaps and more, with notifications to management to review any changes. Bulk scheduling, customizable templates and automated schedule-building tools let you quickly create schedules using past and forecasted sales to ensure perfect coverage.